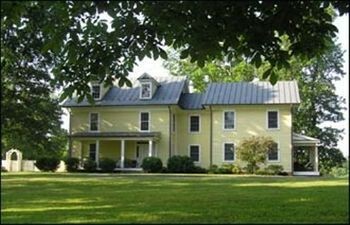 Property Location With a stay at Inn at Westwood Farm in Orange (Swift Run Gap Entrance Shenandoah), you&apos;ll be convenient to Montpelier. This bed & breakfast is within the region of Horton Vineyards and Barboursville Vineyards.Rooms Make yourself at home in one of the guestrooms featuring MP3 docking stations. Complimentary wireless Internet access is available to keep you connected. Bathrooms feature shower/tub combinations, complimentary toiletries, and hair dryers.Rec, Spa, Premium Amenities Take in the views from a garden and make use of amenities such as complimentary wireless Internet access and concierge services.Dining A complimentary continental breakfast is included.